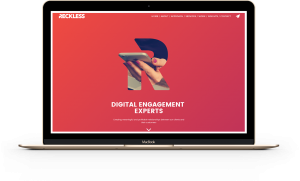 Reckless has unveiled a complete rebrand, including new positioning, a refreshed logo and website. The Chester agency, which also has offices in London and Paris, said the rebrand is part of its wider ‘Reckless Reborn’ campaign. Managing director Callum Reckless explained that the agency had "matured" but that its brand had not "evolved" with it. He said: "One of the key moments that drove the decision to rebrand was after interviewing a number of new candidates who were really blown away by the agency when they had come in to see us face to face. It was a bit embarrassing really, but we’d just been so busy with client work that we hadn’t taken time to look after ourselves. The agency has brought nine new staff on board this year, with a further three poised to join by the end of the year. It has recently secured a number of projects with leading facilities management and specialised catering company, Sodexo, and also works with The Craft Channel, Witter Towbars and Well Polished.